On May 11, the anonymous philanthropist- “Pine”, curator of the Pineapple Fund, published a touching message in Reddit announcing their withdrawal from the crypto-sphere. Five months ago, a Reddit user by the name of Pineapple Fund, posted an announcement on Reddit asking for recommendations to donate upwards of $86 million worth of BTC too. Many were skeptical and confused. 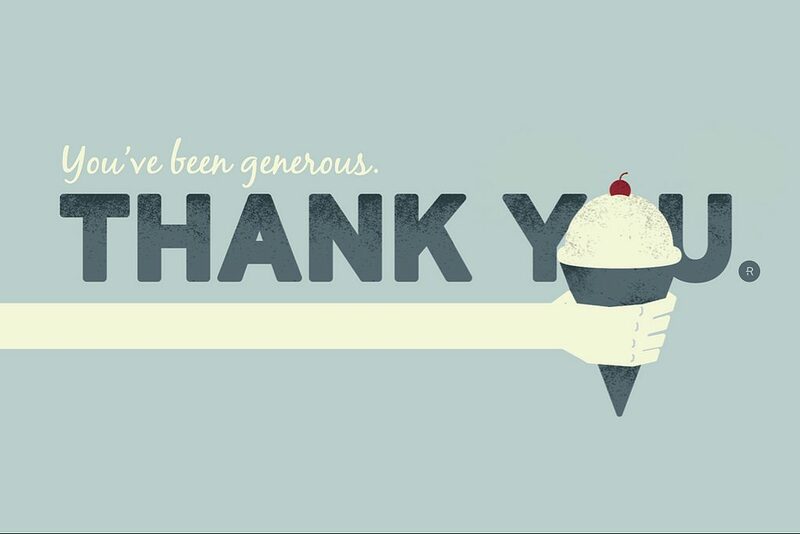 However, when the first proofs of the donations became public, the community acquired a sense of enthusiasm and respect towards the project and its rarity in the world of cryptos. I remember staring at bitcoin a few years ago. When bitcoin broke single digits for the first time, I thought that was a triumphant moment for bitcoin. I watched and admired the price jump to $15… $20… $30… wow! With this message, Pine introduced himself to the world. His outlook on life was an inspiration to many, proving that cryptocurrency can be much more than just a means to become rich and acquire lamborghini’s. The number of beneficiaries has since risen to 60. Donations in some cases were up to $5,000,000 in BTC for initiatives ranging from OpenBSD to the Open Medicine Foundation. Donations also somewhat changed the conceptions of these organizations. Today, many of them view cryptos with more optimism, accepting donations in bitcoin as a new way to raise funds to meet their goals. 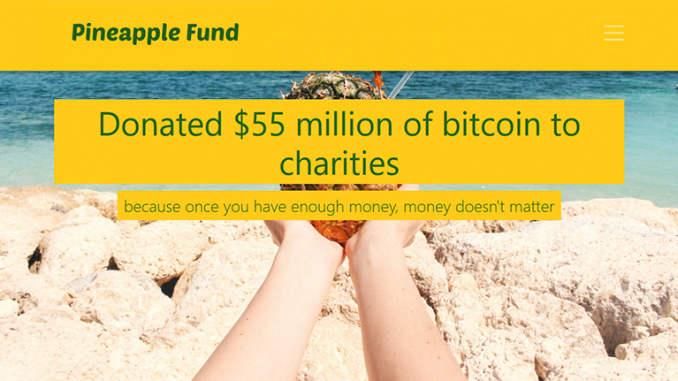 The actions of the Pineapple Fund have inspired others to do the same: According to The Chronicle of Philanthropy, for example, Watsi, an international health group, received $2 million from the Pineapple Fund and subsequently received more crypto donations totaling $500,000, most likely from people inspired by the Pineapple Fund. Following this, an anonymous donor —not the Pineapple Fund— gave $1 million in Bitcoin for the organization. The owner of the wallet decided to remain anonymous. Little is known about this generous person beyond the fact that they are a very early adopter of Bitcoin who made their fortune through mining when Bitcoin was not yet known worldwide. In his post they talk about the excitement when Bitcoin reached $10, making it possible to conclude that they had owned Bitcoin since at least 2011. Mission Accomplished! Thank you, Pine! Previous articleOKEx Has Surpassed Binance as the Top Crypto Exchange!